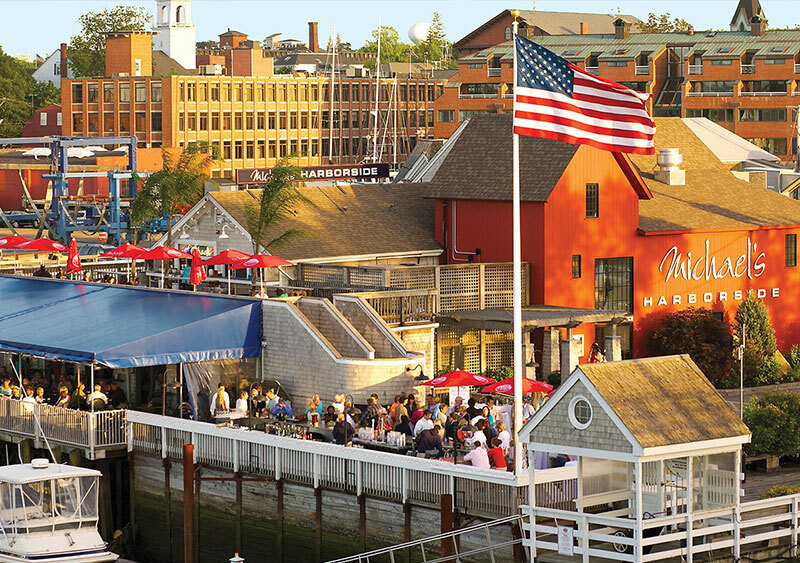 Michael’s Harborside is Newburyport’s premier waterfront steak and seafood restaurant. Overlooking the Merrimack River, Michael’s is known for the freshest seafood on the North Shore. It is a favorite of locals who dine out often, boaters staying at one of the many marinas, and tourists who come from all over New England, Canada and even farther away to get a true taste of New England. Whatever the weather outside, Michael’s is always warm and welcoming with fireside dining in the winter and the most popular outdoor space in Newburyport during the warmer months. Besides the most delicious lobster roll and the juiciest burger, Michael’s features Sports and Trivia Nights, Live Entertainment and family-friendly dining.